These Realtree AP™ jackets are so warm and comfortable, you'll want to wear them all the time, whether indoors or outdoors. Realtree® camo is the fastest growing licensed camouflage print in the world and is perfect not only for hunters but any outdoor enthusiasts, sports teams and more! 8.0 oz. 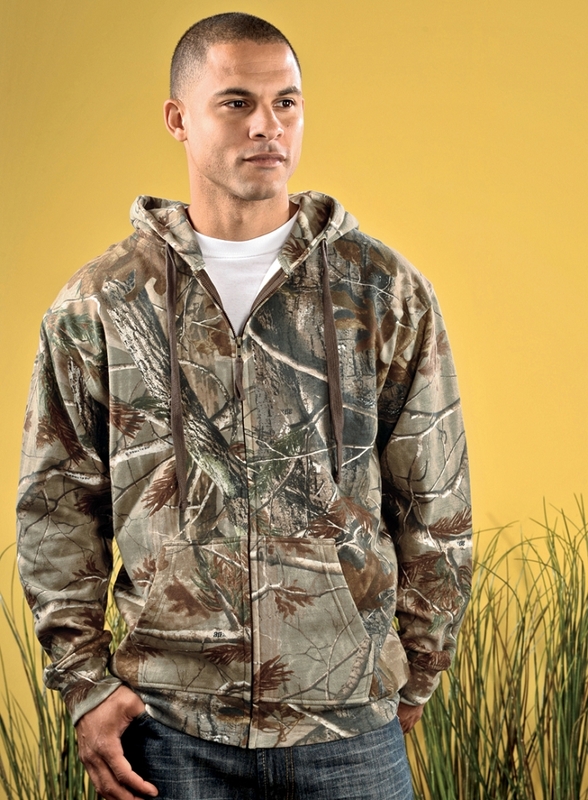 Officially Licensed REALTREE® 80/20 ringspun cotton/polyester print fleece. Fleece lined hood. Solid color brown drawstring. Topstitch neck, armholes and zipper. Pouch pockets. Topstitch 2 1/2" 1x1 ribbed cuffs and bottom band. Bleed resistant ink is recommended when printing our camouflage products.